Luigi Beccali, the first Italian to win an Olympic gold medal in track and field events, was born on this day in 1907 in Milan. Although Italy had won gold medals in fencing and gymnastics in previous Games, Beccali's victory in the 1,500 metres at the 1932 Olympics in Los Angeles was the first time an Italian had won gold in a running event. 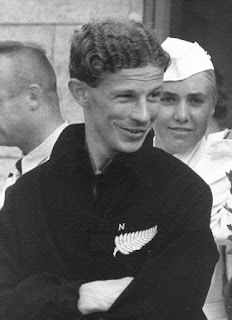 His victory came out of the blue since the field included several runners with top credentials, including New Zealand’s Jack Lovelock and America's Glenn Cunningham. Beccali had a reputation as a determined competitor but his results were relatively modest next to those of the favourites. However, in May of 1932 he had posted a mile time of four minutes 11.5 seconds in Milan which was only four tenths of a second slower than Cunningham's time in winning the 1932 National Collegiate Athletics Association championships. The three heats at Los Angeles were won by Lovelock, Beccali, and Cunningham, who posted the best time of 3:55.8 in winning the first heat. In the final, Lovelock led the field through the first 400m but Cunningham took the lead on the second lap only to be overtaken by Canada's Phil Edwards, who led at 800m. Cunningham tried to forge ahead on the third lap, but Edwards stayed with him and started to pull away over the last lap. At that stage, Cunningham looked beaten but Beccali, Lovelock, and Britain’s John “Jerry” Cornes went after Edwards. Beccali passed Lovelock and then Cunningham to be second at the final curve before rushing past Edwards with 100m remaining. Cornes went through to take silver with Edwards holding off Cunningham for bronze. On the victory podium, Beccali gave a fascist salute, although the incident passed with only brief mentions in newspaper reports and acquired notoriety for him only later, after Adolf Hitler had hijacked the 1936 Berlin Olympics as a political platform. As a youth, Beccali enjoyed cycling as well as athletics but choose the latter when he met Dino Nai, a university lecturer in veterinary science, who would become his coach. He made his debut at the Amsterdam Games in 1928 but was eliminated after finishing only fourth in his 1500m heat. It was not until four years later that he would make the world take notice of him. Beccali attributed his success to having a job that allowed him the opportunity to train twice a day. He worked as a council surveyor responsible for road maintenance in Milan but was unsupervised and no one would question his movements during the day so long as he completed the work required. Therefore he was able to sneak in a training session in the morning as well as after work. His victory at the Los Angeles Games turned him into a national hero overnight and he enjoyed a period of further success. In 1933, Beccali equalled the 1,500m world record of 3 mins 49.2 seconds then lowered it to 3:49.0. He also set the 1,000 yd (910 m) world record at 2:10.0. He won the 1,500m at the first European Championships in 1934, but was overwhelmed by Lovelock in the defence of his 1,500m crown at the 1936 Olympics in Berlin, settling to the third place. 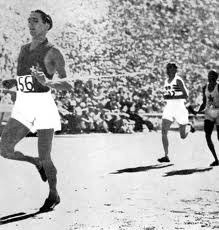 After finishing third at 1,500m at the European Championships in 1938 and winning his fifth Italian championships, he moved to the United States, where he continued to compete until 1941. Beccali, who had a son, Gene, by his wife, Aida, settled in Long Island and ran a wine merchants' business for many years, doing well enough to buy a holiday home in Daytona Beach in Florida. 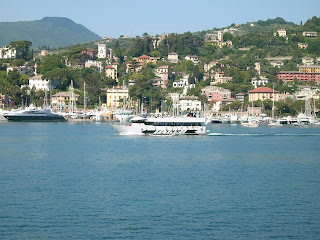 Some accounts of his life say that he was in Florida when he died in 1990 at the age of 92 but a report in the New York Times insisted he was in Italy at the time of his death, staying at the Ligurian coastal resort of Rapallo. Beccali's name is commemorated in Milan in the Via Luigi Beccali, an approach road to the Milanosport complex near Parco Nord, about 10km to the north-east of the centre of Milan. Milanosport has 24 facilities across the city dedicated to providing opportunities for participation in sport. Parco Nord is a large public park built on the site of a former industrial complex. 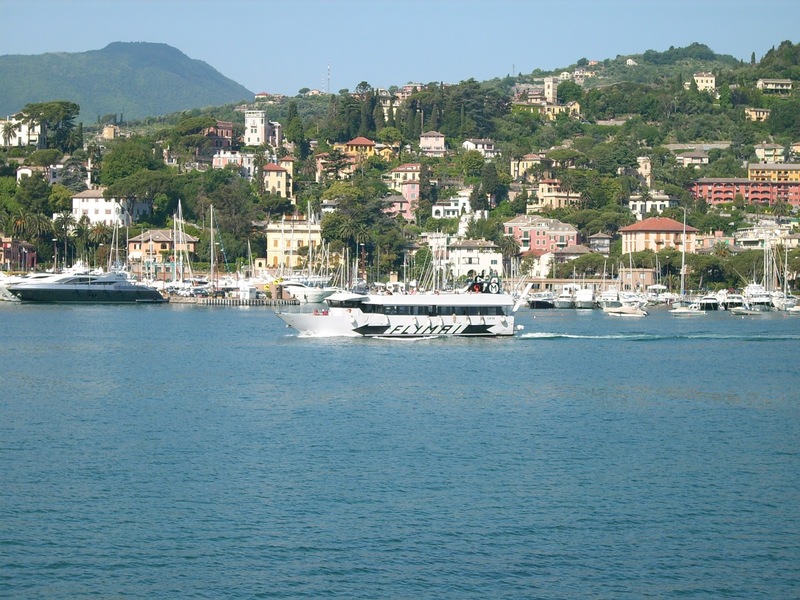 Rapallo is an attractive resort on Liguria's Riviera di Levante and offers a cheaper alternative to the smaller and more fashionable Portofino, situated less than 10km away along the same stretch of coastline. It has a pretty harbour notable for a castle that sits right at its edge and a grid of streets just behind the waterfront that reflects the town's past as a Roman settlement.